Joe Campbell is Principal Security Advisor at One Identity. He is an accomplished software developer with an extremely diverse background that includes driving innovations for some of the world’s biggest companies, and pioneering new, award-winning technologies in wireless, RFID, visualization, communications and telephony. As a trusted security advisor, his experience in security and software architecture makes him a highly respected visionary and leader in the technology industry. Before joining One Identity, Joe held the role of Principal Solutions Architect at Quest Software. The opinions expressed in this blog are those of Joe Campbell and do not necessarily represent those of IDG Communications, Inc., its parent, subsidiary or affiliated companies. Logging into business systems with social accounts comes with certain risks. Here's what you need to know. Security processes to implement when dealing with third-party access to your company’s network. How to gain management and customer support in security investments. 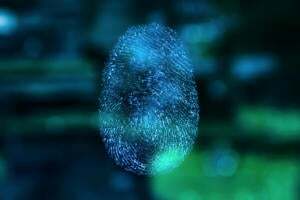 Who owns identity and access management? Learn the best practices for integrating identity management into your business while also staying ahead of cutting edge competition. Role-based access control is fine – who needs attribute-based access control? The benefits in business agility and security confidence that come from role-based access control are more than worth the effort of deployment. Security myth: my admins would quit if I implement a password vault! The issue of secure password vaulting and the concern that something like that could never work at your company. What exactly is federation and what does it have to do with single sign-on? Why temporary workers cause security issues. Just stop bludgeoning them with multifactor authentication (MFA).